Paint This Box! 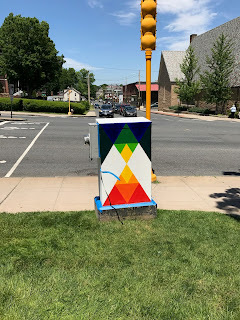 is proud to announce that Mo Willems, Corinne Cascioppo, Ryan Murray, and Peter Zierlein are the selected artists who will be creating unique and imaginative paintings on the utility boxes in downtown Northampton. Paint This Box! 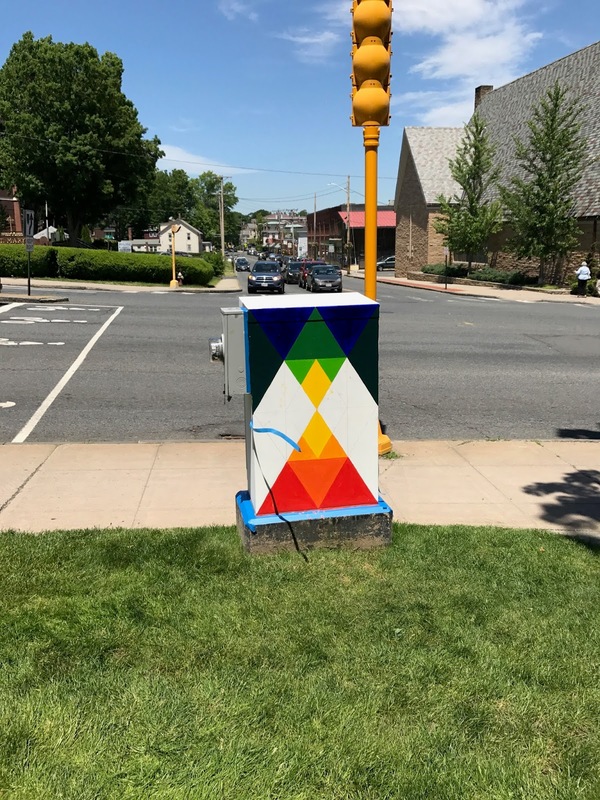 is a downtown project aimed at continuing the momentum of transforming Northampton into a public art community. 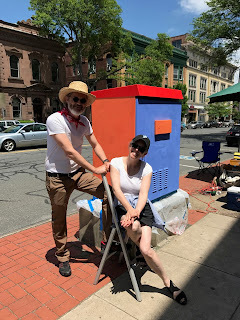 Brian Foote, Arts and Culture Department Director, and of the Northampton Arts Council and Jonathan Goldman, the lead on the 2015 BenchWalk Project, are organizing Paint This Box!. Paint This Box! was inspired by local artist Peter Zierlein’s work in downtown Northampton & the second pilot. In preparation for the painting of the utility boxes, the Northampton Arts Council and local volunteers will be priming the boxes in downtown Northampton on Wednesday, June 7th. 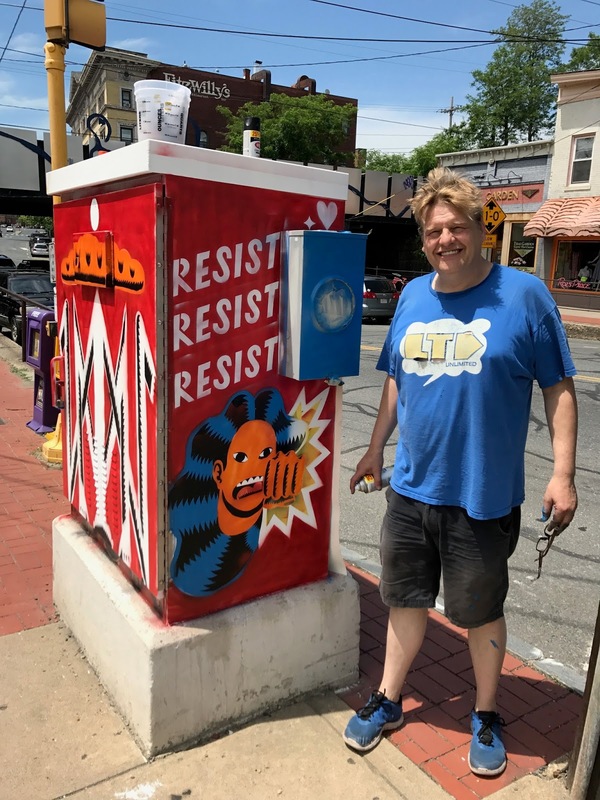 Throughout the day on Sunday, June 11th, the artists can be found painting the utility boxes in downtown Northampton. 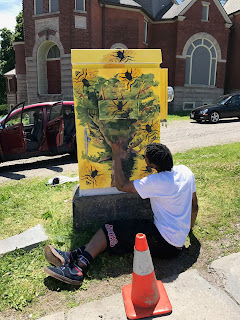 The four utility boxes that will be painted as part of Paint This Box! are located at the intersections of Bridge Street/Hawley Street/Market Street, Main Street/Pleasant Street/King Street, Main Street/State Street/New South Street, and Main Street/Elm Street/West Street. Artists will be using an oil-based, weather resistant, outdoor paint by Van Gogh for the utility boxes donated by local paint company Royal Talens. If you are interested in donating your time or resources to this great public art project please email hamppublicart@gmail.com. Donations are 100% tax deductible. Paint This Box! is supported by the Massachusetts Cultural Council and City of Northampton. Paint This Box! was awarded a Local Cultural Council Grant awarded by the Northampton Arts Council and has received donations from Smith College and Florence Bank. In addition, Foster Farrar is donating supplies to help support Paint This Box!.